Looking for New Cadillac Offers Near Pittsburgh? Searching for Deals on Premium Used Cars Near Pittsburgh? 1Not compatible with special finance, lease and some other offers. Take delivery by 04-30-2019. 2Not available with special finance or lease offers. See dealer for details. 3Not available with special finance or lease offers. See dealer for details. Then Visit Us Today at Cole Valley Cadillac! New Cadillac models are esteemed by automotive critics and consumers because they are the definition of a sophisticated driving experience. Engineered with advanced technologies, these luxury cars excel in numerous ways. For instance, they are as powerful as they are efficient so that you can enjoy a balance of both. That is why we are proud to be a retailer for the brand at Cole Valley Cadillac. Interested in taking one home with you? Then we hope to see you soon at our new Cadillac dealership near Pittsburgh, Ohio. Many local drivers visit our new Cadillac dealership near Austintown because we carry popular options like the Cadillac XT5, Cadillac XTS, and Cadillac Escalade in a broad spectrum of styles and trims. Whether you choose a sedan like the Cadillac CTS or a crossover like the Cadillac XT4, we assure you that your everyday commutes will see an exponential improvement. This is because all new Cadillac vehicles encompass similar qualities. Take the center console as an example. Incorporated with a next-gen multimedia unit, drivers will have the convenience of connectivity at all times. That means you can navigate around Ohio, listen to your favorite albums and stations, and do so much more on the go. Furthermore, those who buy or lease a new Cadillac will receive comprehensive warranty coverage with roadside assistance, exclusive Cadillac rewards, and other benefits that make the automaker a desirable choice. The luxury cars for sale and lease at our new Cadillac dealership near Youngstown is just one advantage we provide to our customers. In addition to our quality products, we employ experts in the field who are committed to overseeing your satisfaction. With a hand from our financial advisors, you can buy or lease your favorite new Cadillac for an affordable price. They can even help you sign up for ongoing specials or incentives that will save you more! We have a certified service center on-site as well. There, you can get our technicians to assist you with the proper upkeep of your model. Doing so will make sure that your vehicle retains its value and will function optimally for years to come. As you can see, customer service is central to everything we do here at Cole Valley Cadillac. Can you picture yourself behind the wheel of a Cadillac? Then get the keys today at Cole Valley Cadillac! Our goal is to make your automotive dreams a reality, so do not wait. Once you select an offer from our site that appeals to you, get in touch with our representatives to set up a date for a test drive and to find out how you can take it home with you. We look forward to demonstrating the exceptionalism that goes hand-in-hand with our brand. Then Browse Our Inventory Now Available at Cole Valley Cadillac! As a luxury car brand, Cadillac products naturally have a higher price. However, we know there are many drivers who prefer to see greater savings from their automotive purchase, which is why we also sell pre-owned models at Cole Valley Cadillac. Our collection showcases options that are not only affordable. To make sure that you are satisfied, we maintain the condition of our used vehicles according to our high-standards as well! In other words, you will save more and have peace of mind when you do business with us. As you can see, we are a trusted used Cadillac dealer near Pittsburgh for a good reason! As a customer of our used Cadillac dealership near Austintown, you have your pick from over a hundred used cars, trucks, and SUVs. 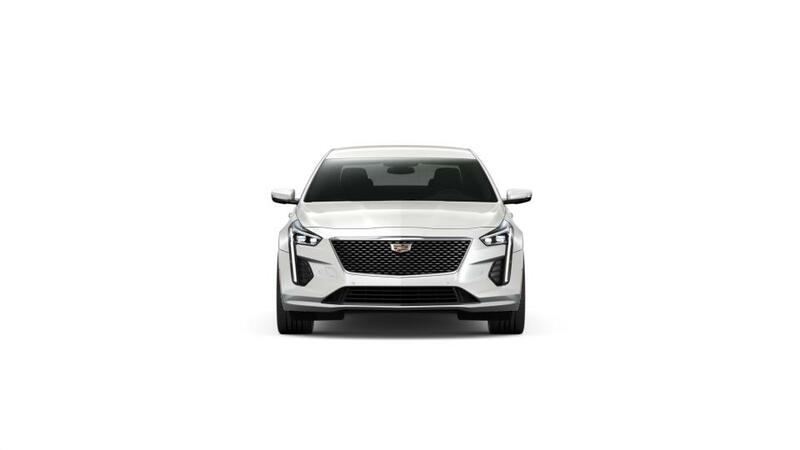 A sizeable portion of our selection is dedicated to the Cadillac lineup and includes traditional as well as certified pre-owned Cadillac models like the Cadillac ATS sedan, Cadillac XTS, and Cadillac SRX crossover. Combined with a selection from other automakers you are sure to recognize, there are plenty of choices at your disposal. The easiest way to find a used vehicle that aligns with your wants and needs is to utilize the search tool on our site and to conduct side-by-side comparisons. Should you need a hand searching for your best match, we suggest speaking with our sales associates for more information and to schedule a test drive. Many local drivers turn to our used Cadillac dealership near Youngstown because our team is known to provide first-class customer service. For instance, you can consult with our financial advisors to devise a monthly payment plan, take advantage of incentives, and correspond with reputable lenders to obtain a practical auto loan. You are welcome to return after your initial visit, too. That way, the technicians over at our auto shop can give your used car the certified service it deserves. By using genuine OEM parts and modern equipment, they will complete every project promptly and properly so you can be on your way in no time and look forward to a quality driving experience for years to come. This is how Cole Valley Cadillac goes above and beyond for you! Now that you can see what kind of advantages you have access to as a Cole Valley Cadillac customer, we know you will feel more inclined to shop at our location! So, do not wait. Check out all the pre-owned vehicles we have in stock, and follow-up with a trial run of your own. We hope to see you soon at our used car dealership. Otherwise, if you have any questions before you make the trip out, contact us online or by phone to correspond with our representatives on-duty today!